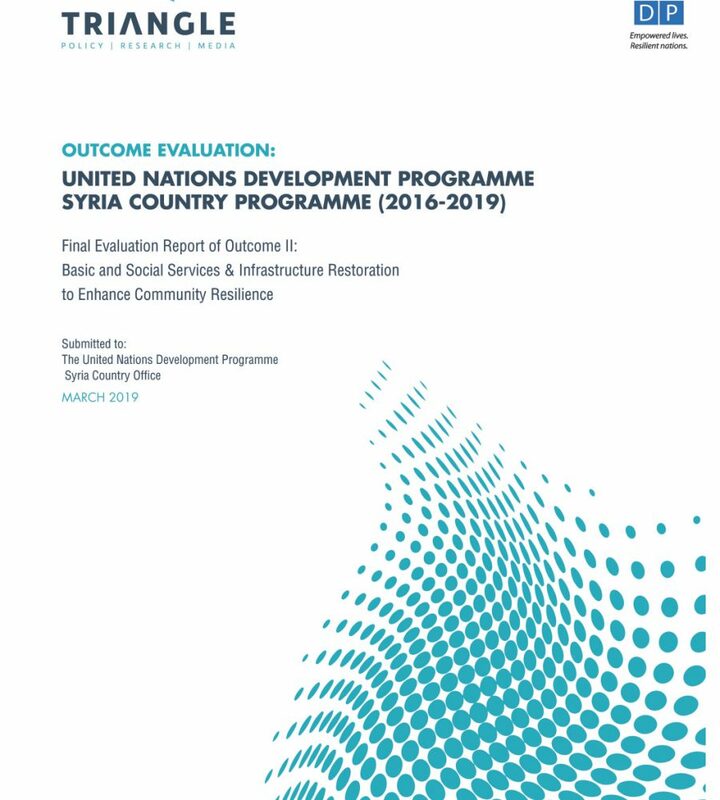 Triangle report first to evaluate UNDP Syria Country Programme outcomes since onset of crisisReports assessed UNDP livelihood and infrastructure outcomes — recommends future programming prioritise sector-specific programming and community engagement in post-crisis transition. 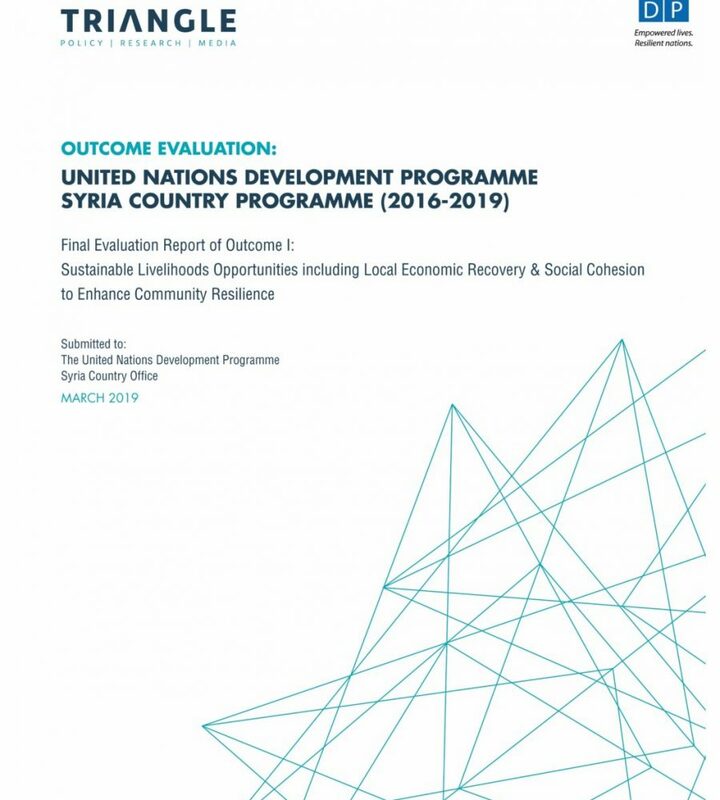 BEIRUT (Triangle News) — Two new reports authored by Triangle and published by the United Nations Development Programme (UNDP) in Syria are now part of the few publicly-available evaluations of any United Nations intervention in Syria since the onset of the crisis. 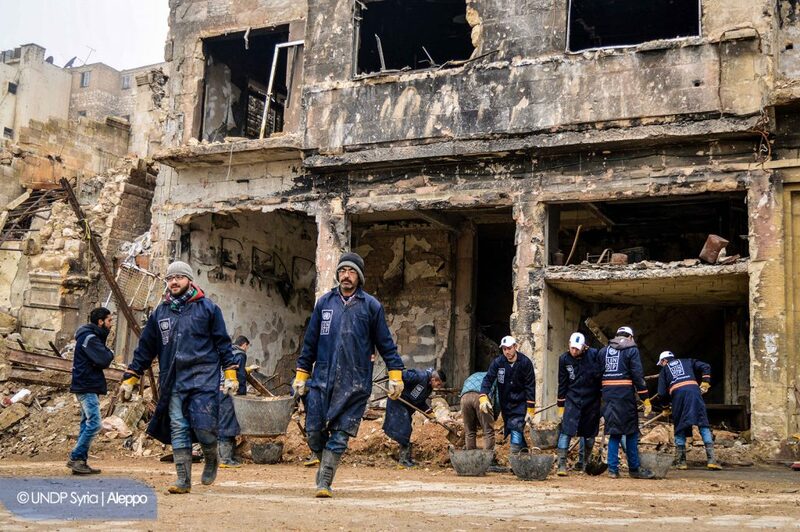 Based on over 2,500 on-the-ground surveys, some three dozen key informant interviews and over 20 focus groups, the reports assess the livelihoods and infrastructure outcomes of the UNDP Syria Programme’s relevance, effectiveness, efficiency, cohesion and sustainability to provide actionable recommendations for future programming. The report was co-authored by a Triangle research team with the support of a local field team in Syria. The reports found that the UNDP interventions effectively built resilience in the communities where it intervened, but that residents remain in serious need of assistance. The reports also found that supporting the recovery of local economies with sector-specific, market-relevant livelihoods programming will be the key to ensure that local communities are equipped to recover from nearly a decade of setbacks. Read the full reports on infrastructure and livelihoods.